Predicts 10-year survival in patients with multiple comorbidities. Do you use the Charlson Comorbidity Index and want to contribute your expertise? Join our contributor team! Plus 1 point for every decade age 50 years and over, maximum 4 points. Note: liver disease and diabetes inputs are mutually exclusive (e.g. do not give points for both "mild liver disease" and "moderate or severe liver disease"). *This data is from the original Charlson study in 1987, before the widespread availability of effective antiretroviral therapy. We are not aware of any re-evaluations of the CCI using more recent data. 10-year survival = 0.983^(eCCI × 0.9), where CCI = Charlson Comorbidity Index. Quan H, Li B, Couris CM, Fushimi K, Graham P, Hider P, Januel JM, Sundararajan V. Updating and Validating the Charlson Comorbidity Index and Score for Risk Adjustment in Hospital Discharge Abstracts Using Data From 6 Countries. Am. J. Epidemiol. (2011)doi: 10.1093/aje/kwq433 Radovanovic D, Seifert B, Urban P, Eberli FR, Rickli H, Bertel O, Puhan MA, Erne P; AMIS Plus Investigators. Validity of Charlson Comorbidity Index in patients hospitalised with acute coronary syndrome. Insights from the nationwide AMIS Plus registry 2002-2012. Heart. 2014 Feb;100(4):288-94. doi: 10.1136/heartjnl-2013-304588. Epub 2013 Nov 1. Zavascki AP, Fuchs SC. The need for reappraisal of AIDS score weight of Charlson comorbidity index. J Clin Epidemiol. 2007;60(9):867-8. 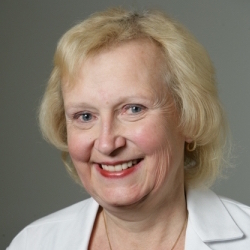 Mary Charlson, MD, is the William Foley Professor of Medicine, Chief of General Internal Medicine and the Program Chairperson for the Master of Science Program in Clinical Epidemiology and Health Services Research at Weill Cornell Medical College. She is also a clinical epidemiologist and methodologist. Dr. Charlson has also developed new methods of improving prognostic stratification in acute and chronic illness.